This morning we went for breakfast to the Boatshed in Balmoral Beach. 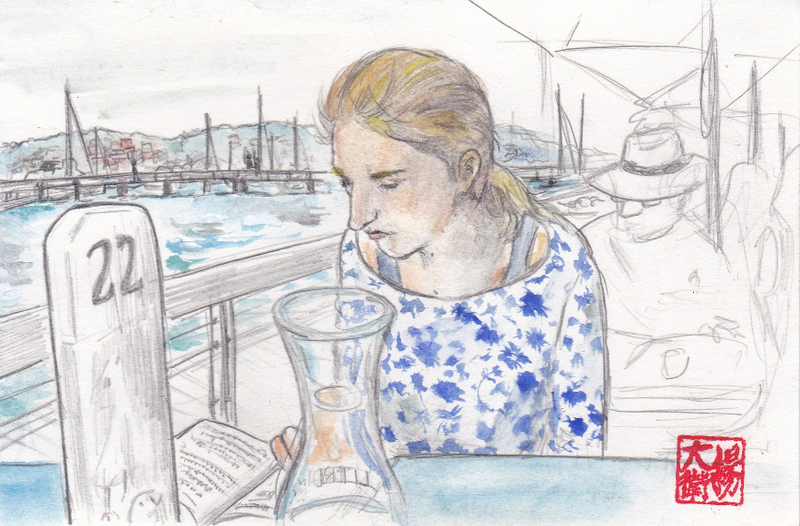 Sarah was reading and I was sketching her. Esta mañana fuimos a desayunar al Boatshed en la playa de Balmoral. Sarah leia mientras yo la dibujaba.